DEF LEPPARD will return to Las Vegas for its second residency this summer. The band will take over Zappos Theater at Planet Hollywood Resort & Casino for 12 explosive nights between August 14 and September 7. DEF LEPPARD played its first Las Vegas residency five years ago at the Joint at the Hard Rock Hotel, a pioneering effort for a rock band. 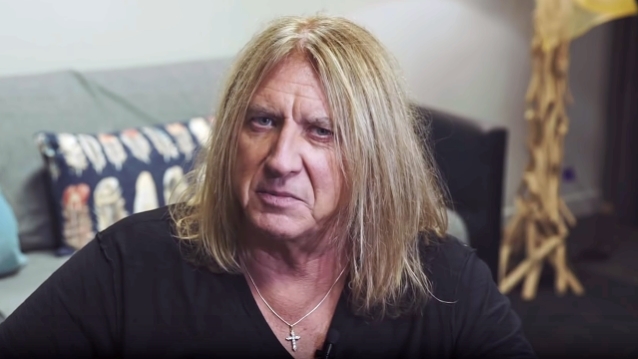 "This is something that we've done before, so we know what we're getting ourselves into — not this particular venue, but the idea of doing a residency," DEF LEPPARD singer Joe Elliott told 8 News Now (see video below). "We did 'Viva! Hysteria' there in 2013, and you learn there's a huge difference between playing 12 shows in 12 towns or 12 shows in one town. A, we get to sleep in the same bed for the best part of the month, which is one of the best bits about it. B, the fans come to visit us. And the fact that you are kind of in residence, when you do a couple of shows and you may have a day off, that day off, you don't have to travel, you're already there, you get in an Uber and you leg it off to go see the 'Love' show by THE BEATLES, Cirque Du Soleil thing, or whatever's still on… There's so many things to do in Vegas that we won't be bored. And the energy that you get, just your body, the energy that it reserves and it gets through not having to travel, that helps with the show a hell of a lot. We learned that last time around." Asked which bandmember he needs to keep an eye on while they are in Las Vegas, Elliott responded: "From a gambling point of view? [Bassist] Rick Savage. He's not a gambler in the sense of like he's gonna lose his house, but he does like to play the slots. But he's one of these guys that's got weird electricity. If he wears a watch and he stands by one of these machines, the watch will start going backwards. So I think there's a chance that he might win a few bob. The rest of the guys, and myself included, [are] not really that fussed about gambling. But I love the atmosphere that it creates when you watch a room full of slots and there's old ladies and there's young kids all pulling away at the handle and chucking their quarters in there. It's just a fantastic sight. It's just a great vibe. And it's the only place in the world that really has that kind of atmosphere." Zappos Theater has previously hosted residencies from Britney Spears, Jennifer Lopez and Lionel Richie and has announced more dates with returning star Pitbull, as well as new residencies from Gwen Stefani and Christina Aguilera. 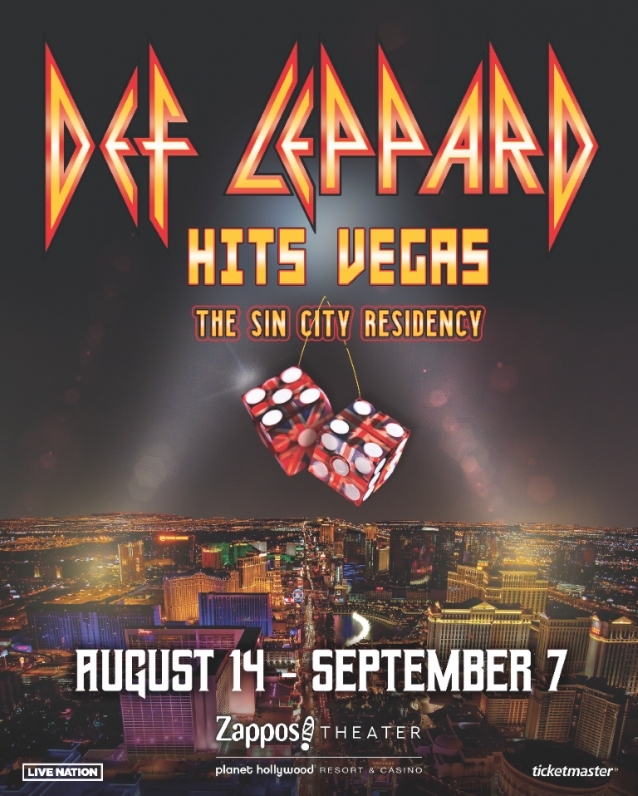 Tickets for "Def Leppard Hits Vegas: The Sin City Residency" go on sale February 22. The 12 performances scheduled so far are August 14, 16, 17, 20, 23, 24, 29 and 31 and September 1, 4, 6 and 7.